Everyone at one time or another dreams about becoming financially free. Hopefully the following information will help you on your path to financial freedom. This article and video were also done several years ago and part of the same program as “Money Introduction” Post. 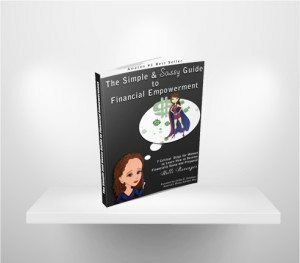 The information can also be found in my book The Simple and Sassy Guide to Financial Empowerment ~ 7 Critical Steps for Women to Learn How to Become Financially Savvy and Prepared which is available on Amazon. The first step on your road to learning finances and becoming financially free is to Envision and Focus on your Mindset. Putting your dreams and goals down on paper will be an important beginning. This will help you make the commitment to jump in and start learning because it focuses you on what we call your “WHY.” It will also help you keep your focus and commitment, when things feel a little uncomfortable. When you were younger, you dreamed, you imagined. But for some reason, when you became an adult, you forgot what you wanted. Don’t worry. It’s not too late. It’s very important to know what your dreams are. Believe it or not, your dreams will fuel your path to becoming financially free. The closer you get to your Truth, the more fuel you have when you’re tired or frustrated, the more power you’ll have when you hit obstacles, and the more satisfaction you’ll have when you get to your goal of being financially free. Remembering your “why” is crucial to your financial success. WHY? • First Question ~ Why do you want to have money? • Second Question ~ Why do you want to be financially self-reliant? • Third Question ~ does financial independence matter so much that you are willing to put a lot of work into it? • Fourth Question to ask ~ Why do you want to take charge of your finances? The Question ~ Why? This is a fun question to ask because it means you can dream. Imagine anything—what have you always hoped for? What have you always wanted to do? How do you want to live your life? Knowing why you want to travel this path is really important. Becoming financially self-reliant is not easy. You’ll hit snags; you’ll face your foibles; you might want to quit. But if you have a strong reason to continue this work, that reason will help you through the hard times. In fact, the stronger your “why”, the stronger your passion, the stronger your drive to get to your goal (of being financially free) the better chance you have of reaching it. All it takes is for you to show up and change your mindset and focus. You don’t just want to have money for moneys sake – there are different motivational factors at play in each one of us. You need to figure out what yours is. Your why isn’t “Oh, I want to have that beautiful house or that car.” Your why needs to be much bigger and deeper. Having beautiful things is alright but why do you want them? How do they make you feel? One of my Why’s, or reason d’etre (reason to be), is to be a Woman of Substance, to help Empower other Women, to be a woman of independent means. I want to leave a legacy in memory of my Mother and my Grandmother. Sometimes you have to dig deep to find your why. Don’t stress about it. This exercise is meant to be enlightening and fun for you. 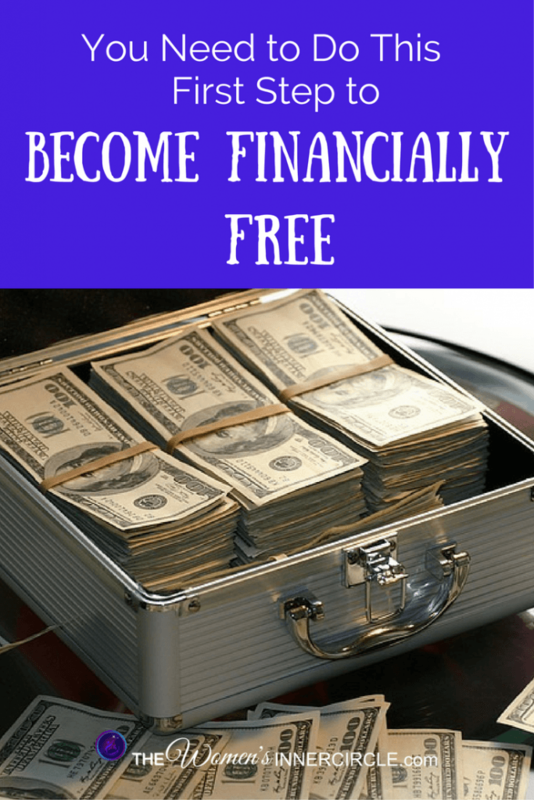 It is a necessary step for you to become financially free. I was just getting ready to start my research to find a woman that could help us with vision and dream boards when I was introduced through a mutual friend to Allyson. This is what I refer to as manifesting your thoughts into your life. Allyson grew up in Plantation, Florida after moving here from New York when she was only 4. She got her formal education at the Fort Lauderdale Art Institute and then got married when she was 30 years old. When she started going thru the closing phase of her marriage she began a brutal process of soul-searching and self-examination. She decided that she wanted to make some major changes and she began to really see that true power comes from within. She realized that she had the power to choose her thoughts and attitude every single day. Her first step was the willingness to open herself up in mind and in spirit. It wasn’t easy at first, it took work and a true passion for change. She resolved not only to open herself fully, but to express gratitude each day of her life. At the same time she made a conscious effort to find the true happiness she felt existed within herself. She now had the power to have all that she desired, and more. Slowly but surely her life started changing. She started living her life with Passion and Purpose. Her relationships took on new dimensions, new depth. She found herself establishing new friendships with wonderful people who have helped and inspired her in so many ways. Allyson Lipnack is a gifted person who “Inspires others” to live their lives with passion & purpose. What exactly are Dream/Vision Boards, Books and Boxes? Sometimes our dreams hide from us. One of the most fun and revealing ways to uncover your dreams is with a Dream Board. I’m going to use the term board but, you can just as easily do this with a book or a box. Dream boards are creative projects which represent your dreams and aspirations. They help keep your dreams in the forefront of your mind. whatever you want to be, do or have in your life ~ GIVE YOURSELF THIS GIFT. Take the time to really think and feel and put your vision/dream project together. Feel like a child again and DREAM. As you make your boards it is fun to watch your dreams unfold. 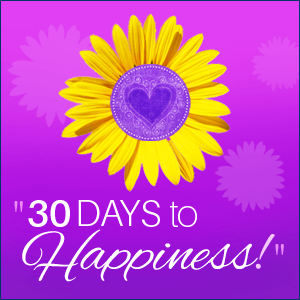 Again, this helps you – START WITH A FOCUS – focus on outcome; what do you want to manifest in your life? You may want to start a journal and dig a little deeper. Keep a journal and as you are writing think about who you want to be, want you want to do, and what you want to have. Think about being, doing and having. When you watch the video you’ll hear Ally talk about how she chose to take control – being the victor not the victim. Listen as Allyson talks about putting together a dream board about her soul mate and then meeting him. I have another friend who wrote herself a $20,000 check and put that in the middle of her dream board. Within the year, she had earned the extra money. Download the worksheet, watch the video and then fill in your answers. Once you are satisfied, make a date to do your dream board. Then head on over to our Facebook Group and please share your experience. We’d love to see a picture of what you have created! You can do your vision project by yourself or have a girls night out party. You may even want to extend it into an all night pajama party! magazines around to give you.